Six times tougher than regular headphones, apparently. Tech giant Philips has teamed up with extreme sports titan O'Neill to launch a range of new active headphones. The Philips | O'Neill range are designed using some of the same materials as the company's heavy duty wetsuits, although these cans aren't waterproof. Go figure. Topping the pile in this latest sport/tech audio collaboration are The Stretch headphones (pictured) which are constructed from a material called TR 55LX, which is apparently ultra-durable and temperature resistant. The TR 55LX material also boasts a surface hardness that's six times greater than the polycarbonate used to produce most headphones, catering for your extreme adventures. Also outed as part of the partnership are the flat-folding Snug cans and the in-ear Covert buds, which come packing an iPhone controller. Last but not least, the Speckle boasts a tangle-free cable. 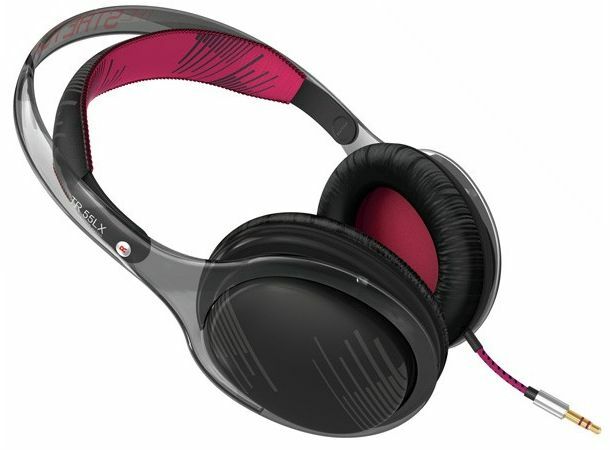 We all know the type of bloke who wears Oakley shades, so you'll know exactly who these headphones will appeal to. They'll be out in Europe later this month.